Designed for four-post rack mounting. Sliding shelf provides easy access. Fits all standard 17" keyboards. Durable, cold rolled steel construction. 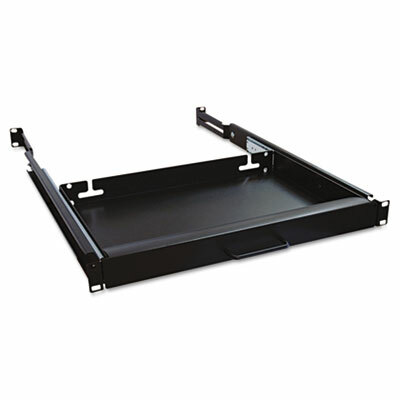 Designed for four-post rack mounting, this shelf provides an easy way to add a keyboard to any four-post SmartRack. Sliding shelf allows quick access and easy storage when not in use. Fits all standard 17-inch keyboards. Durable, cold rolled steel construction ensures years of reliable use. Click here to see more Network Racks & Components! Component Style: Keyboard Weight Capacity (text): 25 lbs.